Welcome to October, the month of crunchy leaves, apple cider, and of course, Halloween! And don't forget about Thanksgiving and Veterans Day hiding right around the corner. In other words, October is the perfect month to plan a Fall Festival or a Halloween party. We have terrific entertainment like caricature artists or face painters to really treat your guests! 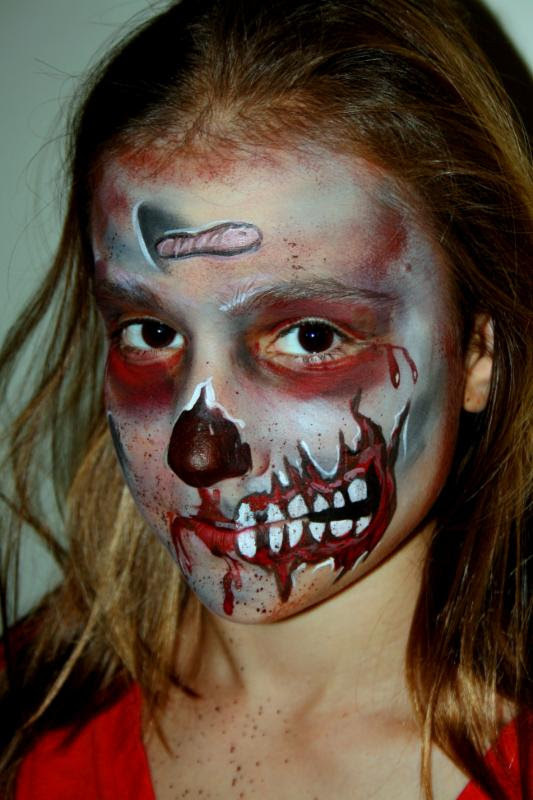 Hire face painters to add character to your costume. Dunkin' Donuts renames the Boston Kreme Donut to the Boston Scream Donut during Halloween every year. Chocolate can last up to 2 years, and hard candy can last one year. On October 28th, more candy is sold than any other time of year. If you see a spider on Halloween, it is actually the spirit of a loved one, according to legend... or thechive.com. The word Halloween was originally called "All Hallows Even (Evening)", which was then shortened to "Hallowe'en", until the 20th century when it became just "Halloween". At first, the phrase "trick or treat" meant that the asker would perform a trick such as a magic trick for the giver in return. Jack O Lanterns were primarily made from turnips, not pumpkins. Describe the type of entertainment you provide. I provide a unique blend of circus, comedy and magic. Ideal for all ages. When and how did you get into this business? I wanted to be a lawyer or a doctor but my parents said I needed to be a magician or a clown. What is the most memorable event you have ever worked at? My first trip to China for the Liuzhou International Clown Festival. An amazing experience in bringing the first ever clown festival to China. Myself and 35 other American Clowns traveled to China in one little car. What is one thing you'd like everyone to know about you? 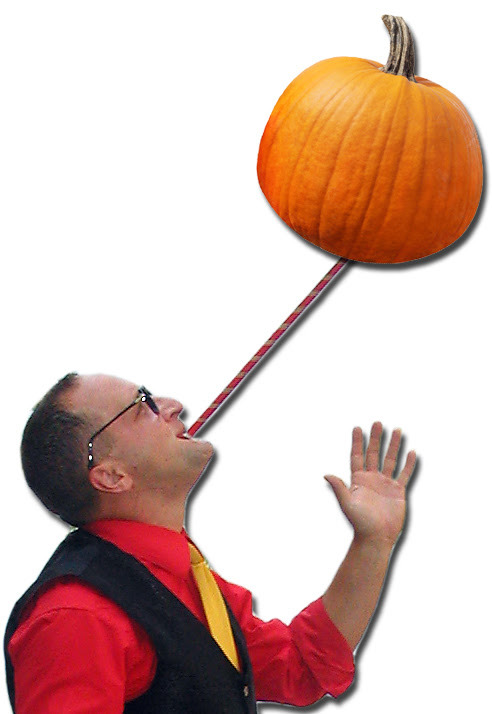 I can't really balance a pumpkin on a stick held in my mouth. A ball yes! A pumpkin NO! Thanks for reading our October newsletter! We hope to hear from you about your next event soon!